Ronnie Stricklin is a retired, tenured associate professor of the Department of Community Resource Development (CRD) from the University of Wisconsin and disabled from the Maricopa County Department of Transportation (MCDOT). Sharon Stricklin, also retired from the University of Wisconsin, now works at Grand Canyon University. A native of New Orleans, Louisiana, Sharon has self published two books on gift basket design. Between them, there are three children, Maurice, Aimee, and Jamaal, and three grandchildren, Alysson, Michael, and Janelle, all of Milwaukee, and Madison, Wisconsin. Ronnie and Sharon live in Mesa, Arizona. The book was undertaken to help demonstrate God’s Power and Glory. It was also written in faith that telling my experiences will help someone else improve their relationship with God, particularly those of us who face spiritual/health challenges. 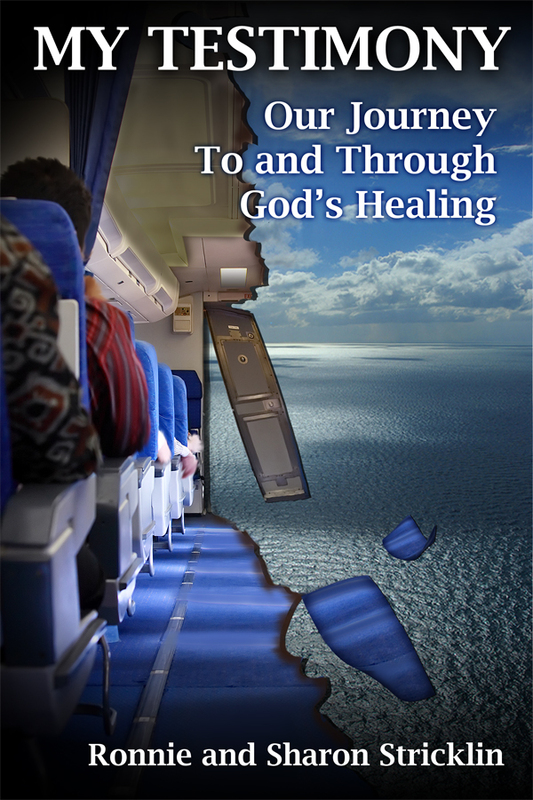 It is a testimony from my wife and I about our journey to and through God’s healing as He led us back against deadly illness attacks and multiple cancer diagnoses. The book is featured at Smashwords.com and most other E-Retailers and is available fall 2011. This is the cover of our E-Book. It provokes an image developed in Chapter Two.